2 Bedroom Terraced House For Sale in Leamington Spa for Asking Price £300,000. 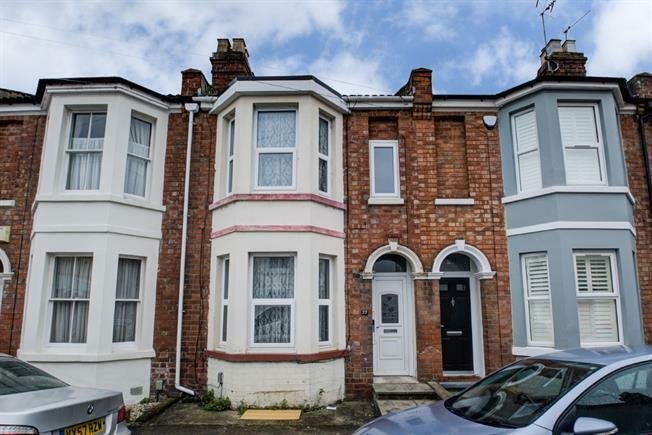 A fantastic opportunity to acquire a two double bedroom Victorian mid terrace property, benefiting from having two reception rooms, in need of modernisation, located within walking distance to Leamington town centre and train station. The property comprises, an entrance hallway, living room, dining room and kitchen. Upstairs there are two double bedrooms and wet room. The property also has a useful cellar and rear courtyard garden. The property is offered for sale with no forward chain. With access into the dining room, having stairs rising to the first floor and radiator. With bay window to front, radiator and opening up into the dining room. Window to rear, radiator and door leading to the kitchen. Fitted with a range of eye and base level units offering worktop space, incorporating a stainless steel sink with drainer. Space for cooker and fridge freezer. Window and door leading to the rear courtyard garden. Door and stairs leading down to the cellar. With doors leading to both bedrooms and wet room. Fitted with a walk in shower, low level wc and pedestal wash hand basin. Radiator, part tiled walls and window to rear. Enclosed courtyard garden to rear.